Miller's Seawall Grill serves fresh seafood, breakfast, sandwiches, burgers and blue plate specials, all with a view of the Gulf! Our full menu is available all day. "Some art is meant to be admired. Other art is meant to be devoured." "Who's ready to float the boat?" "Was your meal one to remember? We'd love to hear the story: http://bit.ly/2ywpD1t"
We love this place and dine here every time that we visit Galveston. Great food, great service and a great view. Yes, I'd like to receive news from Miller's Seawall Grill. 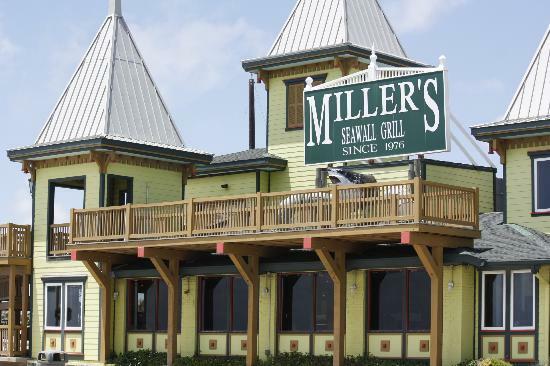 Sign up for the Miller's Seawall Grill Newsletter!